Why This Article Matters: Too many people convict themselves in a DUI investigation by trying to cooperate with police or even to charm the officer. You have certain rights, so use them, but respectfully. 2. Don’t try to pass the “Attitude Test” by confessing you had anything to drink. Officers will not consider this honesty as being respectful. They will consider it evidence against you only. Only give the police your driver’s license, vehicle registration and insurance information, if requested. Remember, anything you say can be misunderstood, mischaracterized and even mistaken. It can also be reported as slurred speech, mumbling and rambling, all supposedly proof of being drunk. The less you say, the better. 3. Don’t try to befriend the cops. They really do not care to have you as a friend. Do not joke with them. Do not try to charm them either. 4. Do not take any field sobriety test (“FST”), which includes walking on a straight line, standing on one foot, putting your finger to your nose, etc. Do not do any FST even if you have not been drinking, at all. If they ask why you refuse to perform any FST, tell them that there is no correlation between performance on any field sobriety test and alcohol impairment. Do not explain this for them. They know exactly what you are saying and probably even agree with you. If a cop decides to administer a field sobriety test, he has already decided he will arrest you. The FST is given just to justify the arrest. 5. Unless you are under 21 or on probation for a prior DUI, refuse the roadside breath test, also known as a PAS (Preliminary Alcohol Screening) test. Do not take it even if you have not been drinking. Just say no. 6. Once you are arrested, choose the breath test at the station. Do not give blood unless you cannot give a breath sample. Do not refuse to give a breath test. Try your best and if you can’t do so, give blood, but only as a last resort. If the police tell you (and they are supposed to) that you have the right to a back-up test, chose urine, not blood. The police may tell you that you have no right to a urine back-up test, but this is wrong. Lies by cops have a big effect on jurors, so you actually want them to say this. 7. After you have given a breath sample, shut up. Do not speak to the cops anymore. If you call your family or bail bondsman, be careful what you say. In fact, admissions of drinking to your wife or husband over the phone can be noted in the police report. 8. Hire an attorney. If you needed heart surgery, you would not do it yourself, would you? 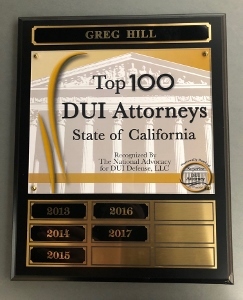 An experienced DUI attorney can help navigate you through this chapter in your life, providing answers to the many questions you will have and leading to the best result under the facts and law. 9. If the police ask you why you did not agree to any field sobriety tests, that you would not answer any questions beyond your name, why you insisted upon a breath test with a urine “back-up,” or why you refused a “road-side” breath test, tell them it is upon advice of counsel (I am giving you this now!). And then shut up! 10. Never forget that DUI arrests proceed with an expectation that you will not fight back. The traffic stop leading to the investigation is often improper. The “advice” a police officer gives you on the side of the road is often simply wrong and meant to scare you into saying something or doing something that helps convict you. Moreover, the police reports summarizing the incident are often sloppy and leave out significant information. Do not help the police. They will get paid anyways, even if the DUI case against you is never filed or dismissed after it is filed. Protect yourself, first and foremost.